When a family member approaches the milestone of 70 years of age, it definitely calls for a big celebration. However, it can sometimes be quite challenging crafting very meaningful wishes that befit such a grand occasion. If you are struggling with the words to wish that brand new septuagenarian in your life a happy birthday, our catalog of beautifully crafted 70th birthday wishes below can be of immense help to you. Happy birthday to the prettiest and loveliest 70-year-old mother in the world! You have been very outstanding in every sphere of life and I can boldly say that I am the luckiest son/daughter on this planet. Your love, comfort, and tutelage are all incredibly awesome, just as your very special and delicious meals are. I can’t imagine my world without a woman so great like you. Happy 70th anniversary, Mom! Beloved Mother, as you commemorate this milestone celebration of your life, it is my solemn wish that God will reward you with many exciting, healthy, and peaceful years ahead. Happy Big Day! Happy 70th birthday! All the good words in the world wouldn’t be sufficient if I were to express the love, gratitude and admiration that I have for you. You are an exceptional mother and I am so grateful to God for you. Mom, on your 70th anniversary today, I wish you complete joy, love, and good health. I pray that these gifts walk with you throughout the many years God has placed ahead of you. You are such a terrific mother, who has spent her entire life bringing joy and happiness to everyone around her. You absolutely deserve every blessing of the Lord. Congratulations on turning 70 years today! Happy 70th birthday, Dad! You have simply been the best in your role as a father and in your career. I am beyond proud and excited to celebrate this milestone event with you. Wishing you a joyous 70th birthday anniversary, dearest Daddy! Thank you for your ever-present love, support and directions that have helped in shaping my world. Dear Dad, you rightly deserve complete love and happiness that this divinely gifted moment brings in your life. 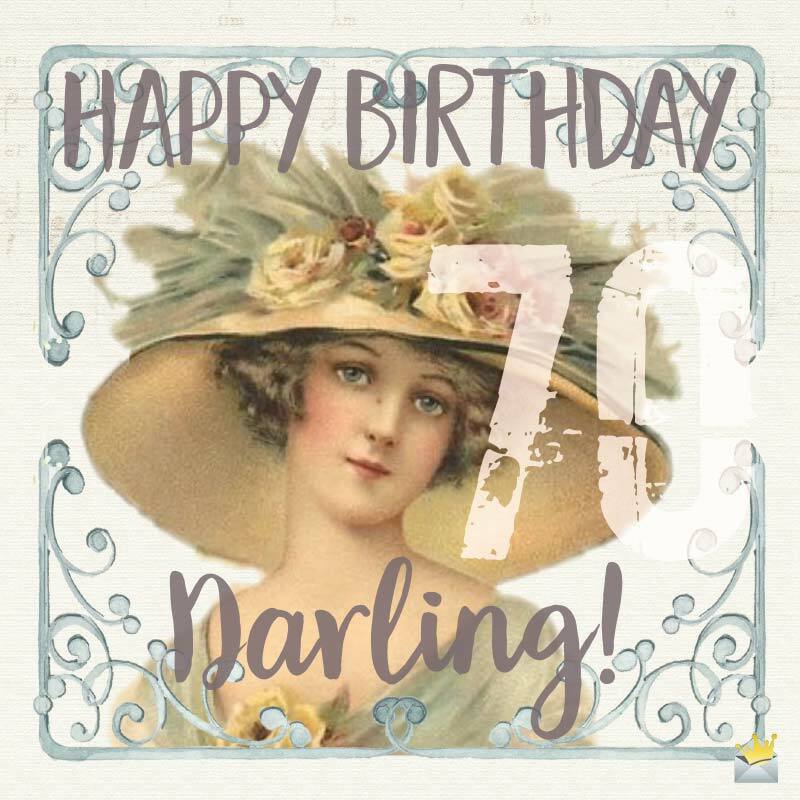 Wishing you a lovely and a healthy 70th birthday! Father, may you have total gladness, joy, and serenity flowing in your heart as you mark this incredibly spectacular milestone on earth. 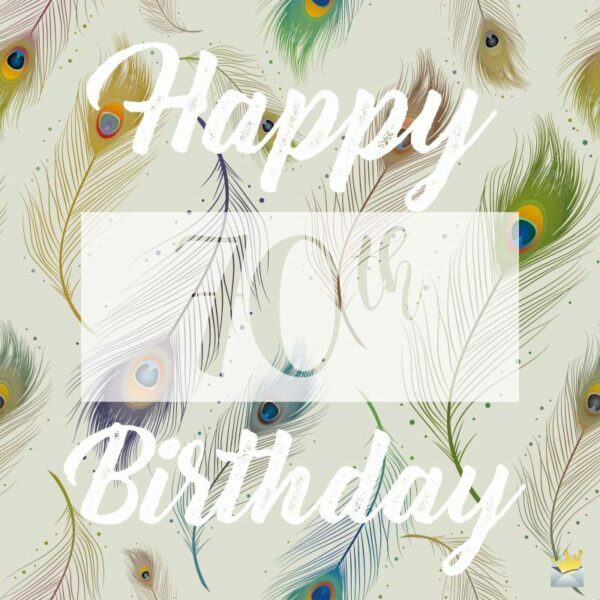 Happy 70th birthday celebration! Spending 70 years on this earth is a really astonishing achievement and I must confess that you still have all the energy and good looks of a flamboyant young man. Happy birthday, Dad! 70 years old, and 70 years well spent. Dad, you indeed are awesome and you should be applauded and awarded for your accomplishment. Happy anniversary! I wish you fine health and happiness all your days. On this great day, which marks your 70th year of being a blessing to your family, friends and the world at large, I just wanted to say “Thank you for always being the best aunt in the world”. Happy 70th birthday. This family is so ecstatic and proud to celebrate 7 decades of goodness, love, and happiness brought by a truly incredible woman. Happy birthday, aunt, and we wish you many healthy and joyous years ahead. Dearest aunt, as we all come together to express our love, admiration, and joy for you on your 70th anniversary, it is my wish that this milestone event will bless your body with good health and your heart with happiness. Aunty, your generosity, love, care, and wisdom are very profound and second to none in this world. Happy 7 decades of a life well lived! May you be surrounded by lovely people, fun, laughter, and joy on this special celebration that marks 70 years of your existence on earth. Happy birthday to my preciously sweet aunt! You have always treated me just like my real mother will, which makes me so lucky because I have two wonderful mothers whose tender love and comfort are much appreciated. Happy 70th Birthday, aunt! I am so glad today to say a very, very big happy 70th birthday to a great uncle! May the mighty God reward you for all the invaluable encouragement and support that you have given me. To me, you are the most wonderful and inspirational man to have as an uncle. Your lifestyle is a beacon for success for many young men out there. Happy 70th birthday! I admire and adore you a lot because you have never ignored me in my times of hardship and struggles. Thank you, uncle, and I wish you a marvelous 70th birthday celebration today! Dear uncle, today, I celebrate your 70th anniversary with so much love and joy in my heart because you have been more than a second father to me. I wish you a peaceful and glorious celebration! In my darkest days, you are the brightest light that shines in my world and there is absolutely nothing that will ever replace you in my heart. Wishing you a joyous 70th birthday celebration, uncle! Happy birthday, Granny! Your wisdom, love, and experience in this life are heavenly. This world has been lucky to have you for 70 beautiful years. May you keep on being the great blessing that you are. It is a pleasure to know and share ties with someone as wise and lovely as you. Grandma, you are simply incredible and I wish you an amazing 70-year celebration! The lessons you have taught me cannot be found anywhere else because they are real-life experiences that you shared with me. I truly appreciate your efforts for me and I wish you a marvelous 70th birthday, Grandma! You alone have that special way of renewing my hope and boosting the confidence inside me. You are truly a great and a very special grandmother to me. I love you so much. 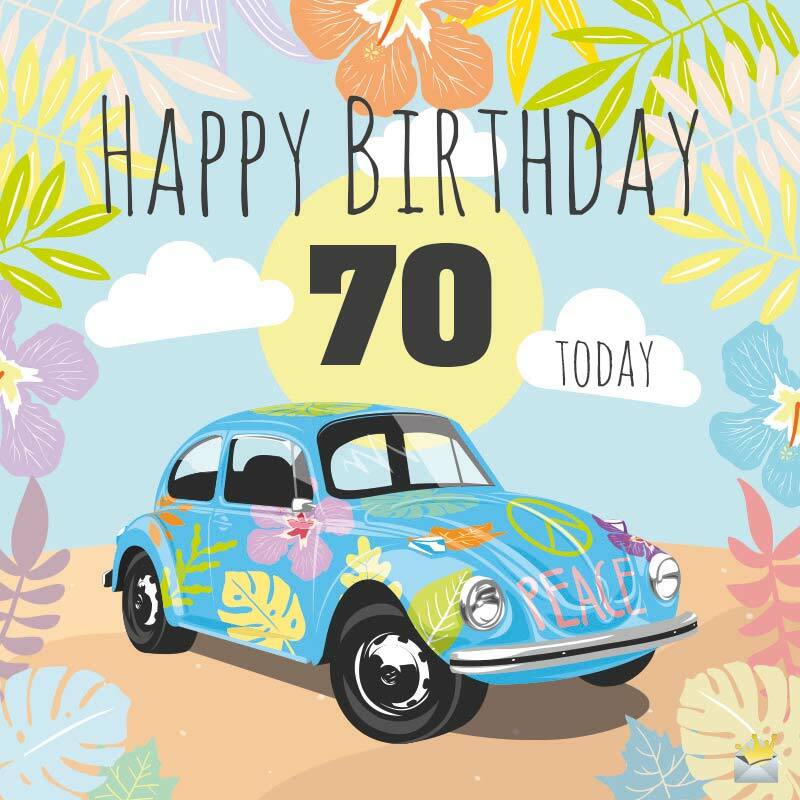 Happy 70 years on earth! Grandma, on your 70th birthday, I just want you to know that you are the light of my universe. Happy birthday. May the lovely smile on your beautiful face grow wider and wider every new day. Incredible grandfathers like you are very special to have. You are definitely one in a billion and for this, I give you my utmost respect and love. Happy 70-year anniversary! Dear Granddad, I hope that you have a jolly good time celebrating 70 wonderful years on earth. May the years ahead of you be great and lovely just as you are. With you, the love is pure, the support is unconditional, and above all, the joy is priceless. Happy 70th birthday, dearest Grandpa! Your faith and trust in me have brought me this far in life. Nothing I ever do or say can ever repay you for your that. Happy 70th birthday, dearest Granddad. You are a perfect example of a truly great mentor. I adore and idolize you so much. Happy 70th birthday, sweet Grandpa!